Welcome to Year 3 - Elm! Thank you to all of the bakers and sellers at Elm’s termly cake sale. We raised over £48 to spend on our lovely Year 3s. We hope that you enjoyed our tasty bakes. On Thursday we investigated reminders and found rules and patterns for the number of lolly sticks required to make squares. This involved reasoning, times table knowledge and teamwork. Some of us went deeper and applied our learning to tackling triangles and perfecting projections for pentagons. Year 3 have been learning about healthy eating, exercise, our bones and our muscles. We have drawn around each other and labelled our amazing bodies, created explanations about how we breathe, investigated and graphed our pulse rate, make x-ray structures of our hands and explored how our bodies move. This week we have been looking, and listening to, at how different cultures represent ideas. We listened to music from the UK,Australia, Tobago, and from Russia. We then drew abstract images to represent how we felt when we heard the music. In art lessons, we drew a seascape, Caribbean style. We are trying to get into the mind of book character, Gregory Cool, who visits Tobago. Today we tasted food from the Caribbean, giving it a rating out of ten, and giving our taste buds a run for their money. You can see from our pictures what fun we had trying out jerky, coconut water, exotic foods and ginger beer. We weren’t afraid to try out cool Caribbean cuisine. And we weren’t going to be palmed off with excuses! This term we will looking at the picture book, Gregory Cool, and studying the Caribbean. Unfortunately there will be no field trip to the West Indies! We will be considering the key question: where is home, and thinking geographically and philosophically as we investigate and answer it. In maths, we shall be seeing how multiplication and division are related and learning our 3,4, and 8x tables. In RE, we shall be thinking about Lent and considering how we can change as people, following the example of Jesus. Our PE will focus on balances and striking and moving the ball. We will considering the value of kindness and working on effective learning partners in class. There will be a science week on healthy bodies in Week 3. Welcome to Elm’s Year 3 page. We are a friendly, creative, enthusiastic, and hardworking class. We hope that you enjoy our page. Please also view our newsletter for our learning in Term 3. We have had an energetic start to the new year. On the first day, we looked at our school values, and Year 3 were tasked with considering our value of respect. This was great fun, involving making webs of respect using hoops, string, and labels with people we respect written on them. We also learned a respect rap, wrote a respect prayer, and designed shields explaining who we respected. You can see from the pictures the effect that a day of respect had on us. On the second day of term, we discovered what it is like to be purple. We will be aiming for our learning this year to be really challenging, and purple learning day helped us understand what that meant. We want to be out of comfort zone (blue zone) as no new learning occurs here. We do not want to venture into the red zone as this is dangerous and leads to frustration, stress and sadness: learning cannot occur here as it is too hard to connect with. The purple zone is perfect: there is just enough challenge so that if we believe we can achieve, put the effort, and have a can do attitude, we can succeed and learn something new. Every day we will be awarding purple learning badges, certificates, and a medal to people who have acted perfectly purple. 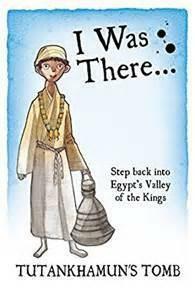 We shall be studying Tutankhamen’s Tomb, an exciting adventure story about an Egyptian boy who helps discover the mummified remains of the great pharaoh when helping out archaeologists on a dig with the famous Howard Carter. We shall be developing key writing skills including using different types of sentence effectively, having a good understanding of adverbs and prepositions, revising basic sentence punctuation, and writing instructions. Each lesson will give opportunities for children to try a skill, use that skill in context, and then show what they understand independently. (The Try it, Use It, Prove it approach). In our reading we shall be aiming to improve our comprehension skills and promote reading for enjoyment. We shall use lots of different techniques involving art, drama, and music to bring our Egyptian story to life. We shall also be re-establishing our regular home-school reading records to support children’s fluency and understanding. This term, we will be entering the fascinating world of the ancient Egyptians and exploring life in Egypt over 3,000 years ago. During our enquiry, we will be developing our historical enquiry skills and researching many aspects of this extraordinary civilisation, including daily life, pharaohs, gods, pyramids and hieroglyphs. In order to answer our enquiry question, ‘Why and how did ancient Egyptians make mummies?’, we will focus on the mummification process and burial rituals before embarking on our challenge – to mummify an organic item! To help deepen our knowledge and understanding, we will be reading the action-packed Tutankhamun’s Tomb, by Sue Reid. The story is set in 1922 when British archaeologist, Howard Carter, made an incredible discovery in the Valley of the Kings. We shall be consolidating children’s knowledge of place value, addition and subtraction before moving on to multiplication and division. We shall be ensuring that Year 3 children have the required skills to be able to problem solve, reason and calculate quickly. We will be using the CPA (concrete-pictorial- abstract) approach which involves using apparatus, diagrams and visuals to ensure that children have a deep understanding of each concept, helping them understand how maths works as well as remembering its operations and processes. Any help from home: by talking about maths everywhere: in the shops, in the car, when cooking, when measuring, handling pocket money, looking at TV and cinema times, would be gratefully appreciated. We shall finish our exploration of the Christmas message before moving on to our unit on revelation, considering how God reveals himself to people, looking at the stories of Miriam, Samuel and David, and thinking about the significance of Jesus’ baptism.